"Gracie was just three days old when her parents realized that she was struggling to swallow. After being bounced around from appointment to appointment, she landed the CHOA Aerodigestive Clinic at Egleston. The coordinated and specialized treatment helped guide the Kozel family through extensive diagnostic testing and ultimately empowered them to manage her care. Over the years, they have spent countless sleepless nights in the ER and dozens of nights admitted to “Hotel CHOA.” They’ve seen what seems like every one of CHOA’s specialists. She’s had infusions, transfusions, feeding tubes, breathing tubes, and no shortage of poking and prodding. The family has been in the trauma room of the ER praying over Gracie as she was whisked away for life-saving emergency surgery. They’ve had Thanksgiving dinner from the cafeteria and pleaded for God to spare children they don’t even know as code blues were called over the intercom throughout the night. They’ve watched through the hospital room windows as life-flight helicopters unloaded critically ill and injured children. But through the fear and sleep deprivation, they’ve also seen joy in the halls of CHOA. They’ve seen fairies, popped bubbles with clowns, and read books with dogs. They’ve been given Halloween costumes, Mother’s Day gifts, and mani-pedis. They’ve even watched “snow” fall outside the windows of Scottish Rite as we decorated our room for Christmas. They’ve found comfort in the love and compassion of the CHOA staff and those who volunteer their time just to bring a smile to a child’s face. "Now the precious miracle Gracie has been clinically diagnosed with Mitochondrial Disease. It is a disease that has a wide spectrum of severity, no specific treatment, and an unknown prognosis. 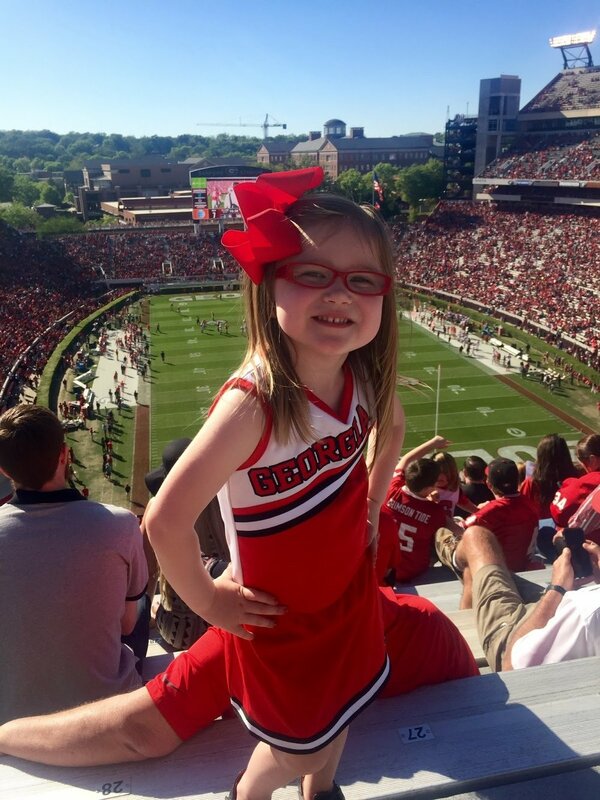 The family continues to work with her amazing doctors at CHOA to manage her symptoms and illnesses at him in an effort to minimize the time she needs to spend in the hospital. But there isn’t a day that goes by that they don’t count CHOA among our many blessings."